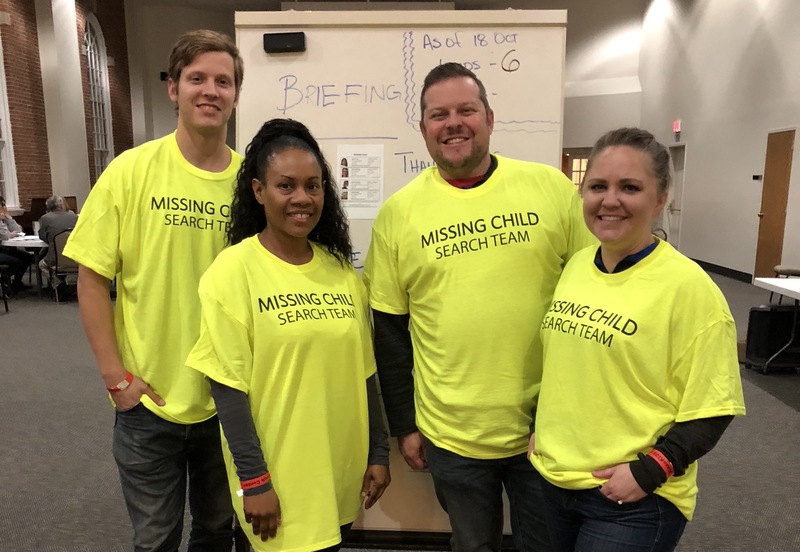 October 18-20, 200 volunteers canvassed an average of 50 hotels and 94 business a day distributing booklets of information and fliers regarding missing children. This collective effort generated 53 total leads. As of March 4th, 15 of the youth have been confirmed found and safe! For the others, we ask that all continue to remain alert to who is missing and to report tips. Tips can be reported to KlassKIDS at 855-733-5567. KlassKIDS will continue partnering with local law enforcement in this effort. If you see one of the youth who are listed as missing, please call 911 with as many details as you can including time, location, any signs of distress or bruising, who they are with, vehicle, and any other details you can gather. Please do not approach a missing youth; rather call and report immediately. KC-CASE is grateful to F.R.E.E. International, Called2Rescue and KlassKIDS for their tireless work. We are also very grateful for collaboration with a host of partners representing service providers, law enforcement, churches, civic organizations and corporations who are listed at the bottom of this page. Sign up if you are interested in participating in The Big Search KC 2019! The BIG Search was started by Brad Dennis of KlaasKIDS and Florida Coalition Against Human Trafficking in Tampa Bay (in 2009) as a collaborative outreach during the Super Bowl. Since then, The BIG Search has been part of every Super Bowl and Super Bowl city except this last year (2017), where it exclusively took place in Las Vegas. There have also been BIG Searches at the Sturgis Motorcycle Rally, Kentucky Derby, and many other events. The success of these events has led to two 90-minute presentations to the National Association of Attorneys General, been chronicled in major Law Review Journals and led to the receiving of the 2015 FBI Director’s Community Leadership Award. Summer of 2018, Veronica's Voice was approached by F.R.E.E. International with the opportunity to host a Search in KC. With the commitment of collaborative partners, the dates of October 18-20 were set, 2018. Thank you to all of the volunteers for The Big Search KC 2018!